Although woodlice have been mentioned in BugBlog a few times, they haven't been the main character in any post yet, and this has to be addressed. This little group I found yesterday under a pot gives me the perfect excuse. There are over 3,000 described species of terrestrial isopods (woodlice) in the world, with only 35 native to the UK. The Common Rough Woodlouse (Porcellio scaber) - above- is one of the most common. Unlike the Pill Woodlouse (Armadilium), it is unable to roll into a ball, and instead, its defence mechanism consists in grasping the substrate and pressing its dorsal armour against it, so that its more vulnerable underside is protected. Its nocturnal habits and love of humid places reflect the fact that it loses water very easily from its body due to transpiration as their surfaces are not waterproof. Woodlice absorb water from their surroundings when they rest under stones, in compost heaps or similar places and they lose it when they forage away from their refuge. They are detritivores and feed on dead vegetable matter and therefore are involved in the decomposition of dead leaves and the production of compost. Woodlice usually have separate sexes, that is, there are males and females. Females brood the eggs and their young in their first instar, suplying them with nutrients and water, in a pouch under their body. In the common rough woodlouse, females can produce three broods (of around 20 young) a year in good conditions. Breeding is very seasonal, and starts when days become longer (16 h light). Woodlice can live several years. Thank you for following Suz! Yes, they have lots of common names, and I do agree lice does not make them any favours. Their latin name means little pigs, don't ask me why! Ok, it's been a while since this blog was posted but I have been searching and searching and wondered if you could shed some light. In my garden i've had hundreds and thousands of woodlice living happily under everthing that stands still for more than a minute. The other day i came home, it was dark and it was like woodlice migration, all climbing up the fence and moving on to pastures new. I had hosed down the patio recently (we only have a small garden) and it was quite flooded and i wonder if that was the reason for mass movement? That makes sense Claire. 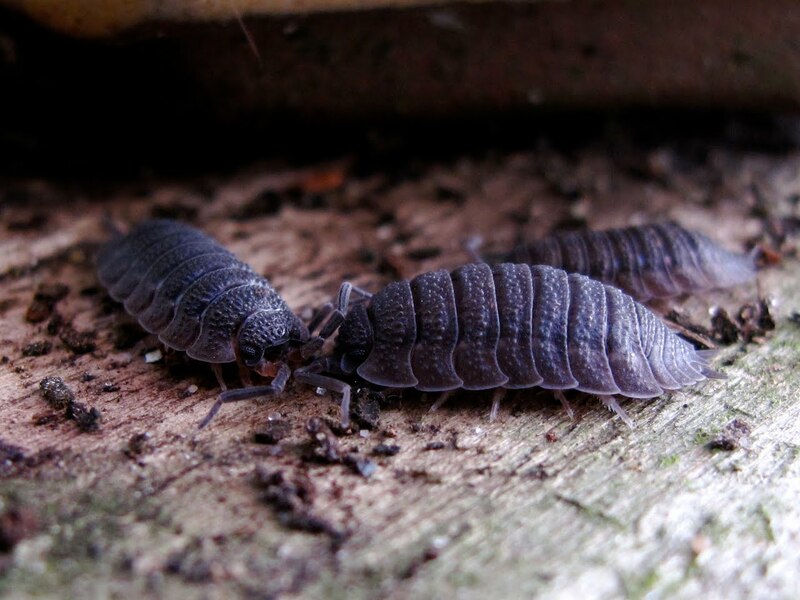 Although woodlice like relatively damp conditions, they cannot withstand immersion in water and, after flooding, they will tend to move up to find drier overwintering spaces. The past few nights after dark I've noticed large numbers of woodlice on the ground almost like a mass gathering why is this?